Generations of artists active in all genres of the Performing Arts have been trained with one precept at the core of the cultivation of dedication to their respective crafts: come what may, at whatever cost, the show must go on. Whether or not the familiar verbal expression of this mantra truly originated, as some academics surmise, with Nineteenth-Century circus managers, as cutthroat a lot as any operatic impresarios, the spirit of the sentiment is memorably exemplified in the work of the final decade of Gaetano Donizetti’s life. Born in 1797 and a pupil in his native Bergamo of the Bavarian master Johann Simon Mayr, Donizetti was one of the defining geniuses of Italian bel canto despite a life that was not all beautiful singing. Having suffered the losses of his wife and children, the composer was ravaged by disease, perhaps syphilis contracted in his youth, the last three years of his life stolen by worsening illness. Like his contemporary Rossini, whose withdrawal from the musical world was voluntary, Donizetti was awesomely industrious, not least when mere survival can only have left him with minimal energy for creation. Create he managed to do, however: some of his most accomplished scores came after the deaths of his wife, children, and parents. It was a man bent but not broken by hardship who in 1842 accepted a commission from Paris’s Théâtre-Italien for a new work that would evolve into Don Pasquale, an opera universally acclaimed as one of its creator’s finest achievements and widely regarded as the tuneful terminus of the beloved Italian opera buffa tradition. Superlatives are easily hurled at scores but are often far more difficult to employ in describing performances of them, but the greatest experiences in opera are those rare evenings when music and musicians achieve an exalted state of communion. Staged in Lynchburg’s intimate, 250-seat Joy and Lynch Christian Warehouse Theatre, the Opera on the James production of Don Pasquale bewitchingly realized the full comic potential of this gem of an opera, filling every cubic millimeter of available space with laughter and that rarest commodity in opera, genuine bel canto. As difficult as filling a large space can be, designing and executing an operatic production in a small space can be even more daunting. Without the benefit of forgiving distance, details of staging and characterization that are effective in mammoth theatres can seem ridiculous (or worse) when observed in closer proximity. Accustomed to making maximum use of the space at the company’s disposal, Opera on the James provided with this Don Pasquale a model to similar enterprises of how fascinating opera can be when a production engages rather than merely occupying its surroundings. Teddy Moore’s simple but eye-pleasing set designs and David Latham’s evocative lighting dressed the stage in fine style, and Aaron Chvatal’s Roaring Twenties costume designs and Maggie Caudhill’s artistry with wigs and makeup dressed the characters with witty outward manifestations of their personalities. 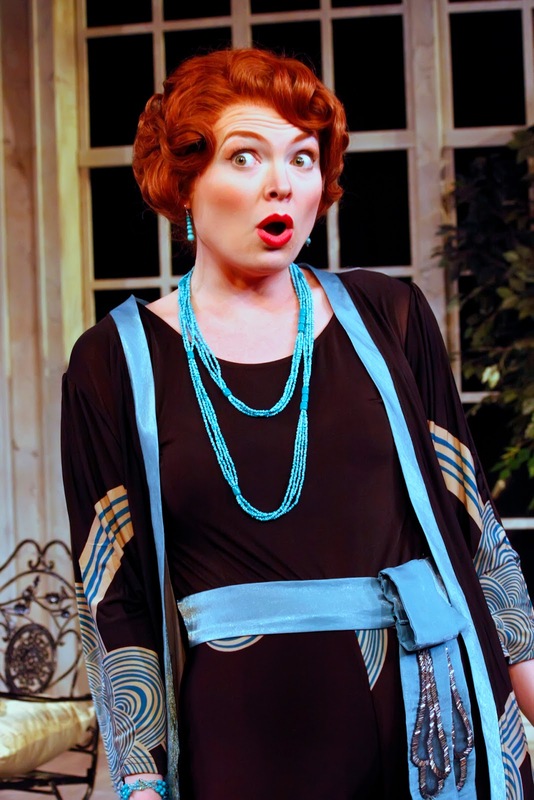 Stage Director Patricia-Maria Weinmann handled the opera’s zany plot with sure timing and a splendid avoidance of mindless and unmusical tomfoolery. Singing ignoramuses can be interesting but are rarely truly funny: the most amusing people in opera are those whose sensibilities attract the listener sufficiently so that he cares enough to laugh. Updated to 1927, this production allowed Don Pasquale and his band of players to be individuals, not idiots, and the audience therefore could laugh unforcedly at Donizetti’s comedic genius rather than at a feeble attempt at faking it. Laugh they did, often and raucously, making this kind of evening at the opera that leaves one smiling and humming for days on end. Conductor Douglas Kinney Frost maintained commendable control of the performance from first note to last, keeping balances clear and insightfully integrated and lavishing great care on preserving rhythmic tautness even when granting singers latitude in virtuosic passages. Following his lead, the well-trained musicians of the Opera on the James Orchestra jaunted with brio through the reduction of Donizetti’s scintillating score used for the production, the string playing occasionally slightly frantic but providing a solid, suitably propulsive foundation for the pit’s [here cleverly placed behind the scenery, conjuring the atmosphere of Roman cafés] contribution to the performance. For this production, space necessitated elimination of the chorus, thereby excising ‘I diamanti, presto, presto’ and ‘Che interminabile andirivieni!’ (they were not missed), and Donizetti’s three acts were refitted into two, the interval coming between the composer’s second and third acts. [For this review, texts are referenced by their positions in Donizetti’s original three-act arrangement in an effort to avoid confusion for readers not fortunate enough to attend the Lynchburg performances.] Exemplified by Brian Roberts’s dulcetly-phrased account of the trumpet obbligato in Ernesto’s scene at the beginning of Act Two, the wind playing was laudably confident. The orchestra’s performance of the opera’s Sinfonia, as rollicking an introduction as any composer ever provided for an opera, set the frenetic mood of the performance after a shaky start, and Frost’s organic pacing sustained that momentum until the drama was resolved with hearty laughs and high notes. The conductor’s tempo for the Preludio at the start of Act Two ideally suited the music. Frost’s conducting and the orchestra’s playing dressed Donizetti’s music as dapperly as their colleagues’ endeavors attired the stage and its denizens. As Carlino, Malatesta’s kinsman and notary of convenience, Albert Carter whined and wheezed his repetitions of ‘Et cetera’ to bumbling perfection. Cheryl Carter as Norina’s housemaid may not have sung a single note, but there was an aria’s worth of emoting in her facial expressions as she perused a page in Norina’s fanciful novel. 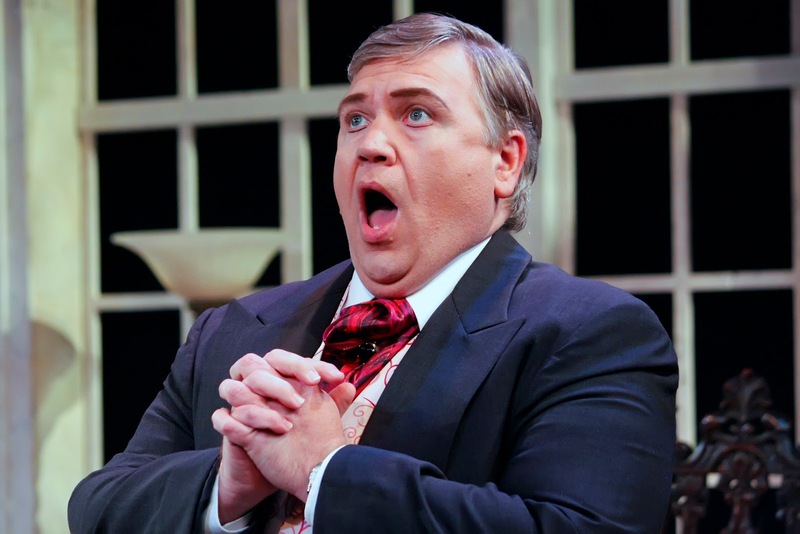 Tony Quaranta as Don Pasquale’s seemingly much-abused and grotesquely underpaid maggiordomo was a show unto himself, not only chewing the scenery but helping to move it during scene transitions, too! To his inaugural performance as Ernesto, one of Donizetti’s most beautifully-written tenor rôles and a brother to Nemorino in L’elisir d’amore, tenor Daniel Curran brought a refined, capably-projected voice and technique that qualified him equally for the part’s bel canto intricacies and lovesick ecstasies. At his entrance in Act One, it was apparent that Curran was an Ernesto to the Schipa, Valletti, and Kraus manner born, his excellent breath control permitting him to execute marvels of phrasing impossible for less-prepared singers. In the duet with Don Pasquale, his incredulous ‘Prender moglie!’ was spirited, and his singing of the cantabile ‘Sogno soave e casto de’ miei prim’anni, addio’ was masterful, the repeated top A♭s costing him minimal effort. His traversals of the allegro ‘Due parole ancor di volo’ and moderato ‘Mi fa il destin mendico, perdo colei che adoro’ were intelligently contrasted, and his top B♭s crowned his lines resplendently. In Ernesto’s plaintive scene at the start of Act Two, Curran delivered the recitative ‘Povero Ernesto! Dalla zio cacciato, da tutti abbandonato’ with plangency that never crossed the boundary into outright caricature. His voicing of the lovely larghetto aria ‘Cercherò lontana terra dove gemer sconosciuto’ was the epitome of poise, the top A♭s and B♭s again troubling him admirably little and serving as a warmup for a spot-on interpolated top D♭. Act Two’s quartetto finale drew from him fleet, animated singing typified by his unperturbed voicing of ‘Pria di partir, signore, vengo per dirvi addio.’ The Act Three serenata ‘Com’è gentil la notte a mezzo april!’ is perhaps Ernesto’s best-known music, and Curran sang it with an enviable effusion of lyricism and honeyed tone that retained its sweet viscosity to the top A♯s. United with his beloved Norina at last, albeit as a ruse to deceive his absurd, proud uncle, this Ernesto poured out a stream of golden melody in the sublime notturno ‘Tornami a dir che m’ami.’ With both his paramour and his inheritance restored, Ernesto soared in the opera’s final scene on Curran’s airy vocalism. Ernesto is the kind of rôle that can seem deceptively easy, and Curran’s was the kind of performance that can further this misconception. Just try to mimic his singing, however: many are the numbers of renowned tenors who have failed to sing Ernesto so well. A descendant of Figaro and Dandini in Rossini’s Il barbiere di Siviglia and La Cenerentola, Donizetti’s Dottor Malatesta is a fantastic gift to lyric baritones with the technical wherewithal to sing the character’s music with the sparkle and machismo that the composer surely expected—baritones, that is, like Gregory Gerbrandt, whose Malatesta for Opera on the James would have been more rightly called Buonatesta. Making his entrance in Act One with an ‘È permesso?’ that dripped with exaggerated politeness, Gerbrandt’s Malatesta calmly seized command of his scene with Don Pasquale, culminating in an unhurried, persuasive performance of the larghetto cantabile aria ‘Bella siccome un angelo in terra pellegrino,’ another of Donizetti’s finest inspirations. Braving the high tessitura without strain, Gerbrandt gave every ornament and elegant turn of phrase dramatic purpose. Ending Act One with Malatesta’s duet with Norina was an innovative choice by Donizetti, but Gerbrandt’s piquant singing of ‘Voi sapete se d’Ernesto sono amico, e ben gli voglio’ revealed the dramatic flair that prompted the composer’s decision. In the Act Two terzetto with Norina and Don Pasquale, Gerbrandt approached the larghetto ‘Via, da brava’ with glinting comic attack, and his bravura technique easily passed the insanely demanding test of Malatesta’s lines in the bustling quartetto finale. Like the Duca di Mantova’s ‘La donna è mobile’ in Verdi’s Rigoletto and Calàf’s ‘Nessun dorma’ in Puccini’s Turandot, it is Malatesta’s duet with Don Pasquale in Act Three that audiences anxiously await, and Gerbrandt’s vigorous articulation of ‘Io direi...sentite un poco’ did not disappoint the Lynchburg listeners. 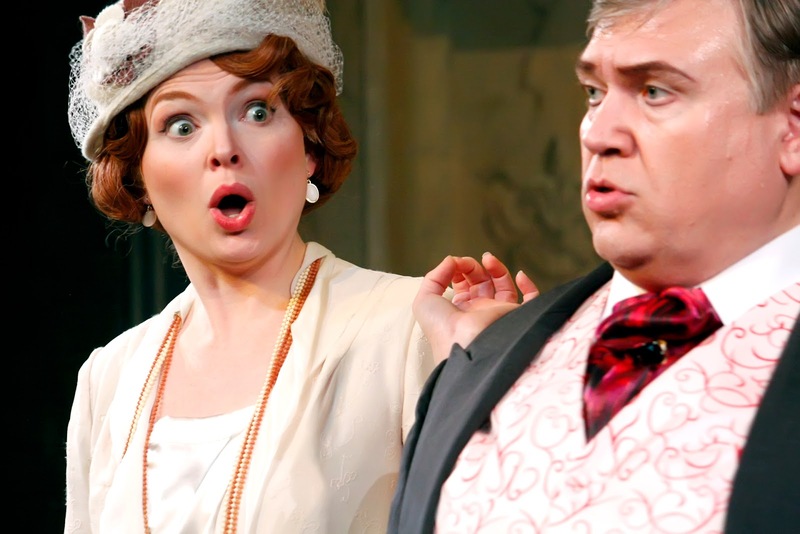 His jubilant patter in the stretta’s laughing figurations and sonorous top F justified the duet’s popularity—and its encore—and made it the musical and comedic pinnacle of the performance. Complementing Curran’s Ernesto, Gerbrandt’s Malatesta was worthy of any of the world’s greatest stages—more than that, in fact, as he accompanied Ernesto’s serenata on the guitar with the finesse of Andrés Segovia! It is encouraging to note that soprano Ariana Wyatt is a member of the Virginia Tech voice faculty because her portrayal of Norina—remarkably, her rôle début—was a lesson in the art of successfully mastering comic bel canto. In Norina’s Act One cavatina ‘Quel guardo il cavaliere in mezzo al cor trafisse,’ the pert, pretty singer cavorted through the coloratura flourishes to top C and D♭, and she exhibited her technical merit with winsome fulfillment of Donizetti’s request for an extended trill on F at the top of the stave. In the duet with Malatesa, this vixen preened and posed hilariously, sculpting ‘Pronta io son; purch’io non manchi all’amore del caro bene’ with a bonafide prima donna’s command of the repeated ascents to top B♭. In the manic terzetto with Don Pasquale and Malatesta, Wyatt tossed off the crazy fiorature, cresting on top B, as though she were merrily sowing seeds in a flower garden. The soprano’s lusty singing in the quartetto finale brought down the curtain on Act Two—here Act One—with a scurry of smirks and scowls and a fabulous interpolated top D. The emotional heart of Don Pasquale beats in the Act Three duet for Norina and her put-upon consort, in the course of which the feisty young lady takes the charade too far and slaps Don Pasquale, an action that, as Donizetti’s music unmistakably reveals, she immediately regrets: despite the audience’s roars of laughter, Wyatt played the moment appreciably ‘straight,’ her face still with the realization of her fun having descended into cruelty. Nevertheless, she sprinted through the vivace ‘Via, caro sposino, non farmi il tiranno’ as though Norina had not a care in the world except to show off her ripping top C. The sheer beauty of tone that Wyatt lavished on her singing of the notturno with Ernesto, ‘Tornami a dir che m’ami,’ was breathtaking, and she and Curran intertwined their voices with gorgeous results. The rondo finale, ‘La morale in tutto questo è assai facil di trovarsi,’ was dispatched with a fetching lightness, the roulades rolled out with blazing virtuosity. Wyatt was anything but a standard-issue soubrette Norina: reminding the listener of how the music ought to be sung, her portrayal suggested that virtually every other Norina since Beverly Sills’s last performance of the rôle has been a pretender. 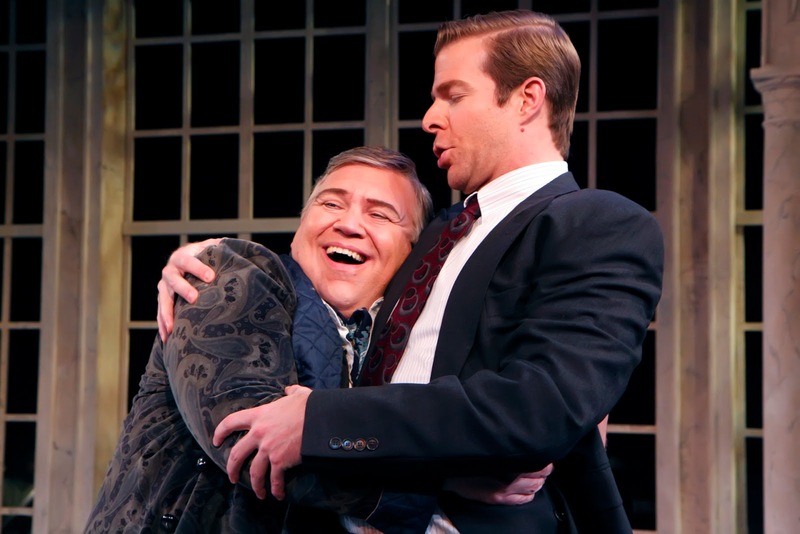 Assuming the larger-than-life persona of the gentleman of a certain age at the center of the opera’s hilarity, baritone Steven Condy depicted a Don Pasquale old enough to know better, so to speak, but still virile enough to charge ahead at full steam, amorous torpedoes be damned. From his near-breathless ‘Son nov’ore’ in the Act One Introduzione, Condy was the Don Pasquale for which one dares not hope: every note of the part was in the voice, and there was tonal beauty to balance the bluster. Condy proceeded through the thrilling vivace in Pasquale’s scene with Malatesta with the unstoppable charisma of a bravura bulldozer. His account of the cavatina ‘Ah! un foco insolito mi sento addosso’ radiated the boisterous elation of a not-quite-young man in love—or in love with the notion of being in love, at any rate. Informing his unfortunate nephew of his impending marriage in the duet with Ernesto, this Pasquale was not wholly heartless in evicting the younger man. After all, which newly-minted marriage needs a third wheel? In Donizetti’s Act Two terzetto with Norina and Malatesta, Condy’s voice boomed like thunder, and in ‘S’era infaccende: giunto però voi siete in punto’ and the pulse-quickening vivace ‘Son tradito, son tradito, son tradiro, beffeggiato, beffeggiato’ in the quartetto finale Condy unleashed a fury all the more imposing for being wholly ineffective. In the great duet with Norina, Condy hurled ‘Signorina, in tanta fretta, dove va vorrebbe dirmi?’ like a poorly-aimed javelin, and he shaped his reading of the recitative ‘Qualche nota di cuffie e di merletto che la signora qui lasciò per caso’ with deepening feeling. As with Norina’s reaction to the fateful slap, Condy opened Pasquale’s heart when singing of his despair and contemplation of finding solace in a watery death, offering emotions more profound than the laughter suggested that the audience grasped. Joining Gerbrandt as a grinning, most willing partner in misguided revenge in the duet with Malatesta, Condy launched ‘Cheti cheti immantinente’ into the theatre like a Roman candle, divertingly matching his partner’s bravura nimbleness and resonant top F. In the opera’s final scene, Condy’s rapid-fire transitions from prideful anger to relieved euphoria were hysterical. Rarely has a husband been so happily deprived of his wife! With every weapon necessary for a convincing Don Pasquale, including an excellent trill, in his arsenal, Condy laid siege to the part with a vengeance, and his triumph was absolute. Don Pasquale has been in the repertories of a number of the world’s most prestigious opera houses in recent seasons, but not one of them could possibly have offered a performance of what can be argued to be Donizetti’s most perfect score that surpassed the beauty, ingenuity, and merrymaking of this Opera on the James production. It was along the banks of the James River that the first permanent English settlement in the eventual United States of America was established in 1607, and the river’s waters have been of unparalleled importance to the sustenance of the people and culture of the Commonwealth of Virginia since the first Native Americans called the region home. 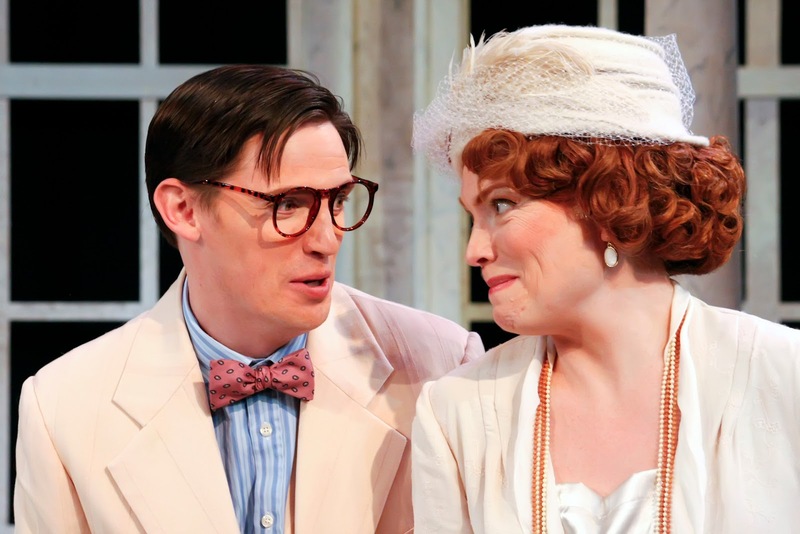 This performance of Don Pasquale proved that now along the verdant slopes of the mighty James has emerged one of America’s most adventurous and most winningly musical opera companies.